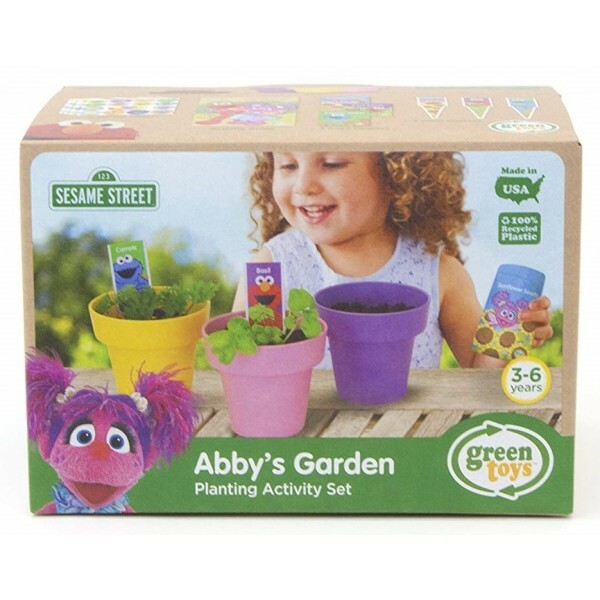 With Green Toys' Abby's Garden Planting Activity Set, kids can watch nature at work while growing their very own garden! Join Abby, Elmo, and the whole Sesame Street gang in the Growing Magic Guide, and learn about plants, growing, and gardening through unique coloring pages and engaging activities like matching and spot-the-difference. 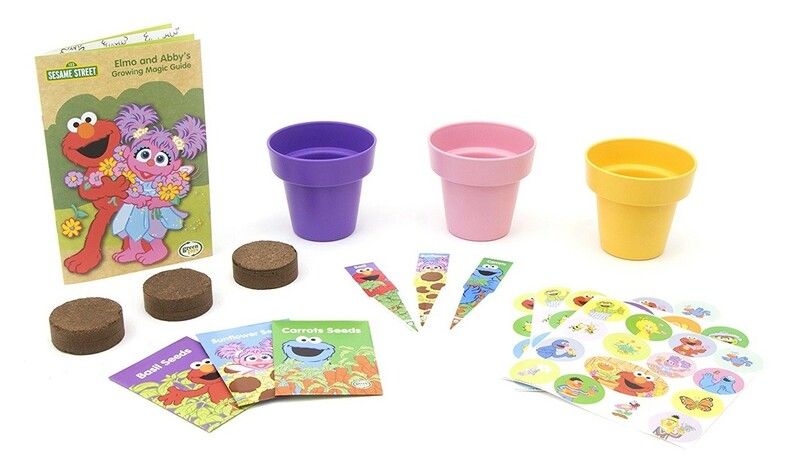 In addition to the Growing Magic Guide, the 17 piece set includes three planting pots, three packets of seeds, three soil pucks, three plant markers, and four sticker sheets. 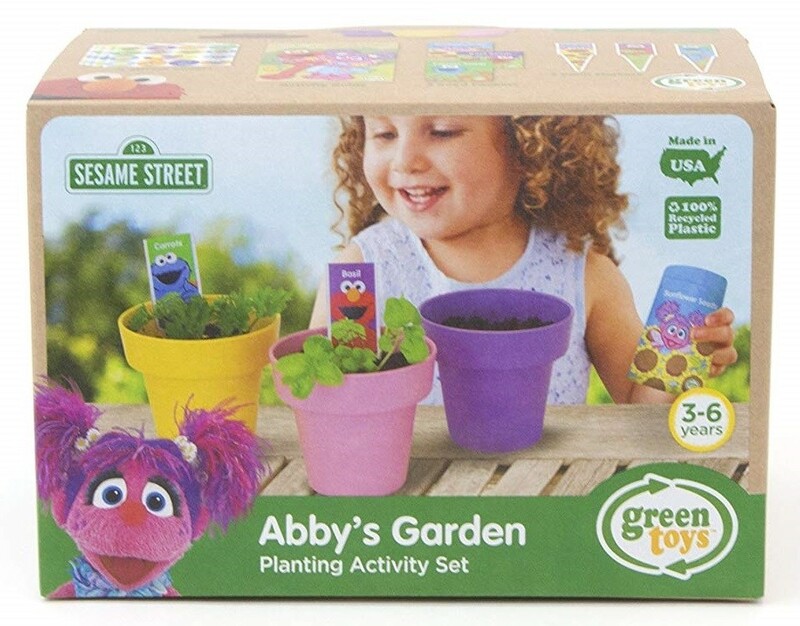 This outdoor activity set is designed to encourage open play, facilitate exploration, and support Sesame Street's mission to help kids grow smarter, stronger, and kinder. Like all Green Toys products, all plastic components are made in the USA from 100% recycled plastic and are dishwasher safe for easy cleaning, and the set is packaged with recycled and recyclable materials printed with soy inks.